This has been a season of extreme weather. We've had torrential downpours, heat waves, gale-force winds and thick fog--sometimes all in the course of 24 hours. 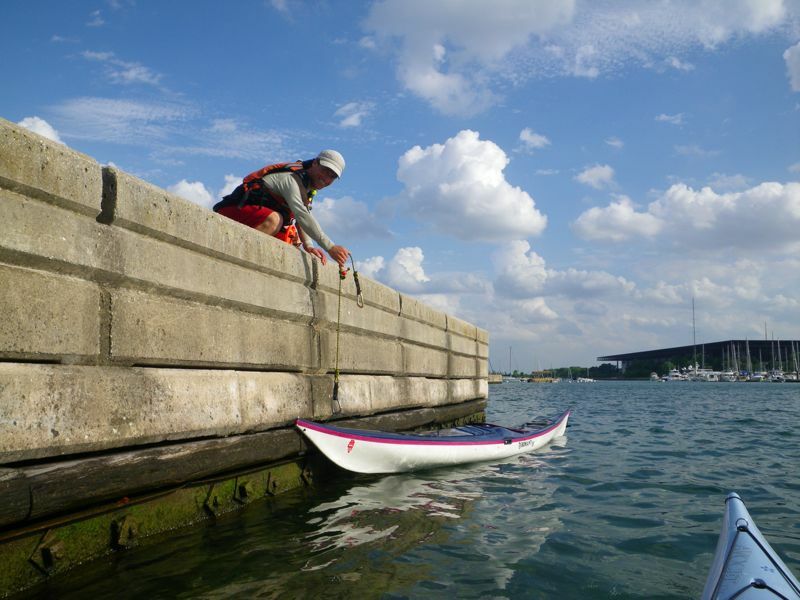 Paddlers need to pay attention to the weather, but looking at the all-purpose local forecast is rarely enough. We start there, but then we turn to a combination of regional radar, marine forecast, nearby weather reporting stations, and good old-fashioned observation to get a more sophisticated sense of what conditions we'll experience on the water. The Weather Underground forecast for the Chicago Lakefront. The regional radar that shows what might be coming. 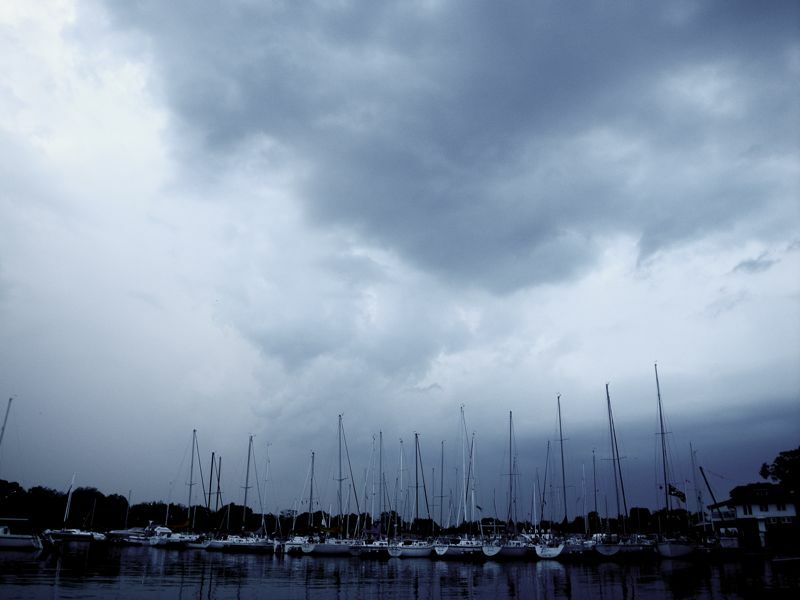 The current and recent conditions reported at the Harrison Street crib, for what is actually happening on the lake. The Great Lakes wave forecast. The model of projected fronts and temperature gradients that suggests how the weather may look up to 5 days out. 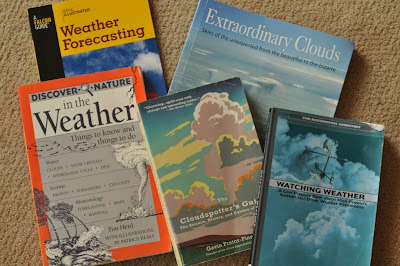 We've also acquired a small library of books that help us understand the weather and decode the evidence around us. Five of our favorite weather books. These sources are only as useful as the context you put them in, however. We compare what they suggest to what actually happens, and over time we're developing a pretty good ability to know what's coming and get off the water in time if it's something bad. Another afternoon when we got off the water before the storm hit--this time with 70-plus-knot-winds. The Eisenhower Expressway (left) and the Eisenhower Canal (right). 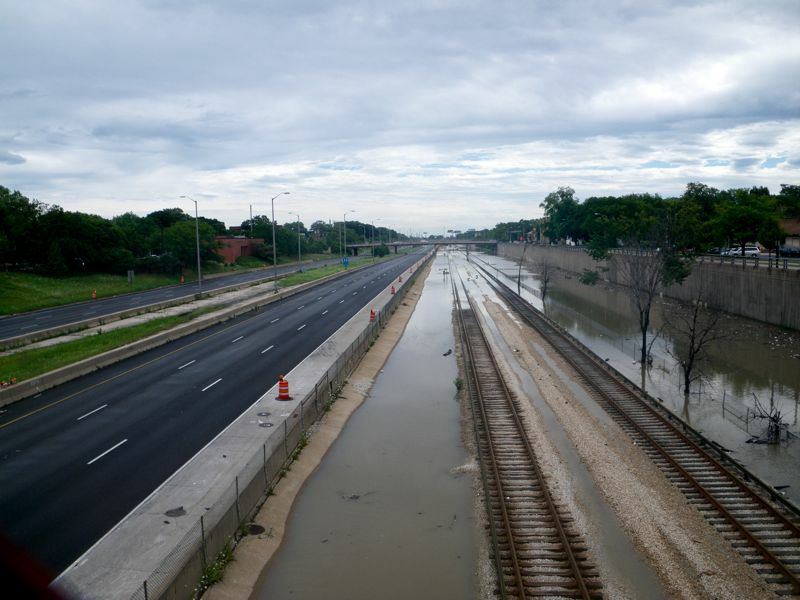 For years, the Illinois Department of Transportation has been threatening to widen the Eisenhower Expressway (I290), and local residents have been arguing that it would be better to extend public transportation. We strongly support the idea of more trains and fewer cars, but we've always dreamed of a canal between our home and downtown Chicago. Imagine water taxis taking commuters to and from work. Imagine Venetian-style gondolas at night. Best of all, imagine paddling downtown in our kayaks! Yesterday our dream nearly came through. Oak Park, where live, got 7.89 inches of rain in 24 hours, flooding the Eisenhower (which was closed to traffic for several hours) and creating a lovely canal around the train tracks. 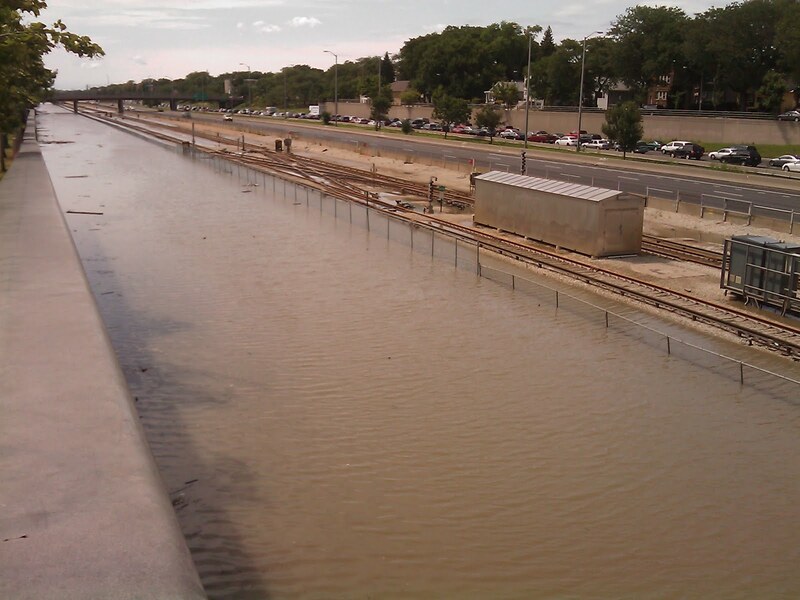 Another view of the canal (photo courtesy of Lyn Stone). 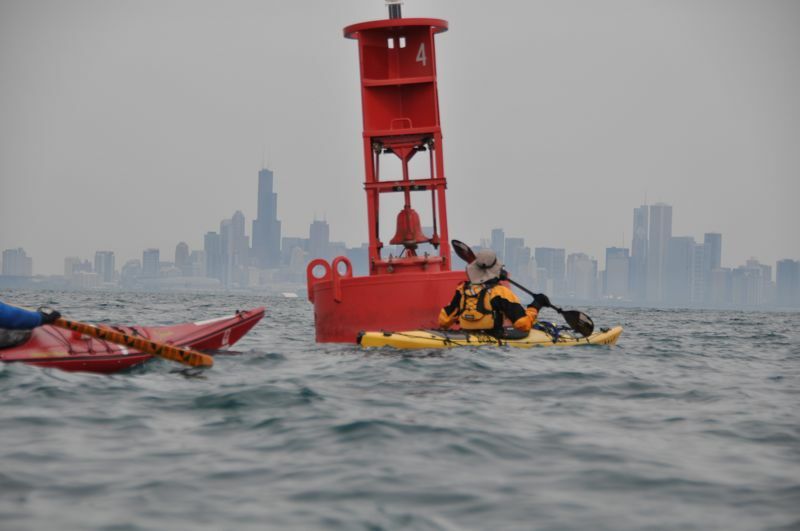 Adam Goss, of Spirit of Space, talks with Alec about paddling in Chicago. Yesterday, we agreed to participate in a video for a firm that's developing a plan for Chicago's Northerly Island. 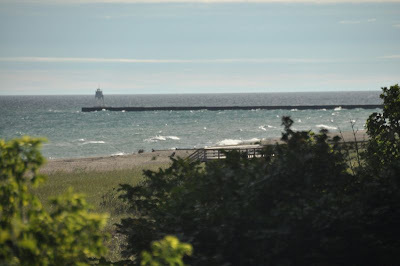 For those of you who are unfamiliar with this man-made peninsula, it is the former site of Meigs Field, a single-strip airport much beloved by VIPs and others, that Chicago's mayor, Richard M. Daley, destroyed in the middle of the night in 2003. Today the main terminal building is a Chicago Park District facility full of little kids in matching t-shirts, and the island itself is the site of the Charter One Pavilion and acres of prairie grasses. 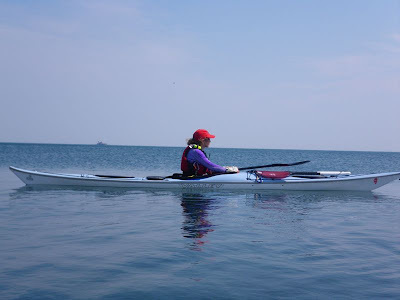 This left us in the unlikely possession of free parking for the afternoon in one of Chicago's most expensive and restricted lakefront lots, so we took advantage of the 45 minutes before a thunderstorm rolled in to paddle around Burnham Harbor. 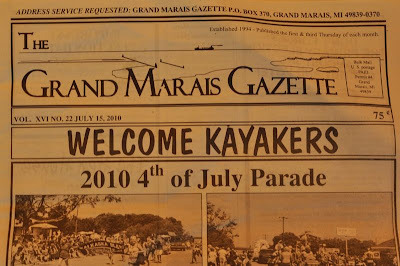 It was the day before the 2010 Race to Mackinac, so the harbor was full of visiting vessels, including the famous Beau Geste. Sharon in a position that wouldn't be safe 24 hours later. We always enjoy prowling around harbors, admiring the creative names people give their yachts and enjoying the fact that we don't have to spend thousands of dollars to dock our little boats. With the sky growing dark, we decided to forego the low docks and scale a wall instead. The sky looks blue in the background, but at this point we were watching heavy cumulonimbus clouds coming our way. In typical summer paddling fashion, we loaded up and drove away just as the storm hit. 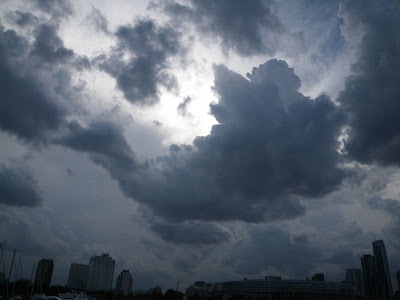 Weather can change quickly in the summer. This photo was taken moments after the previous ones. 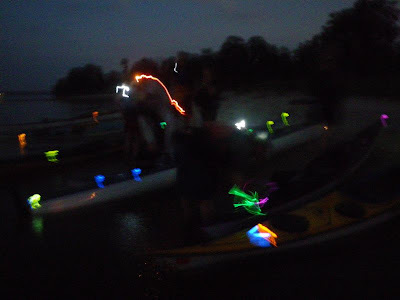 Lately we've enjoyed walking into paddle shops and expos and saying, "Wow! We don't really need anything." Then we browse anyway, admiring new versions of familiar items and assorted new items that we kind of want but don't really need. Inevitably, we find something that tips the balance from want to need. 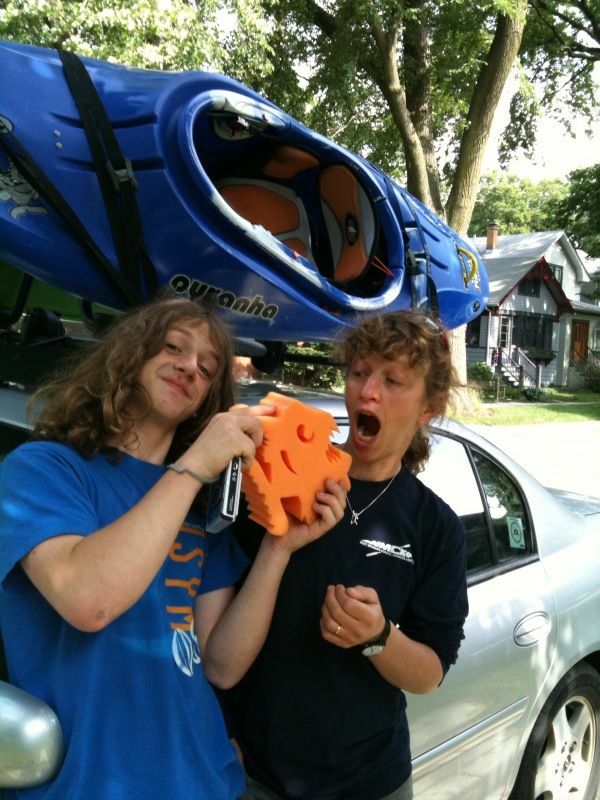 Both of us have been frustrated lately with our paddling shoes. 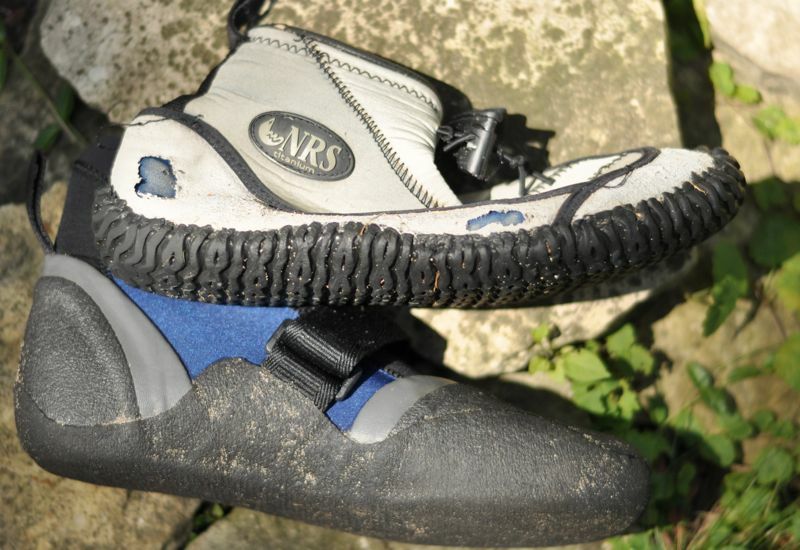 Alec goes through a pair of NRS Desperado Shoes at least once a year; Sharon loves her Wavesport Neobooties for their low profile and wide toe bed, but their soles aren't grippy and they appear to be discontinued. 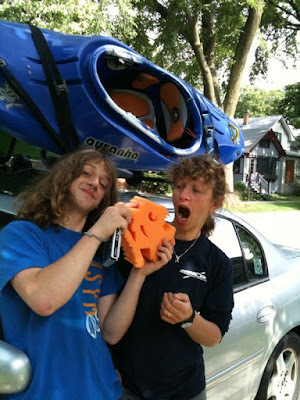 This year at the Great Lakes Sea Kayak Symposium, we found a new paddling shoe we both like: the NRS Sasquatch Water Shoe. 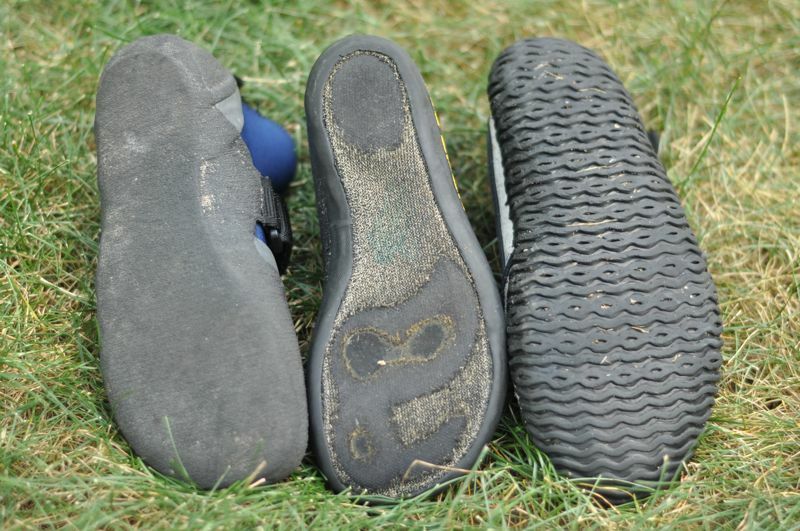 It has a grippier and thicker sole than the Neobooties (though not as grippy or stiff as the Desperado Shoes), some heel and ankle protection (though not a lot of support in the sole), and a wide toe bed. It's low profile, and the neoprene cuff keeps sand and pebbles out. Sharon's Neobootie next to her Sasquatch; Alec's Desperado Shoe next to his Sasquatch. Alec's Desperado Shoe is faded and worn out above the heel and below the ankle, where it rubs on his boat. The Sasquatch looks sturdier in that area. 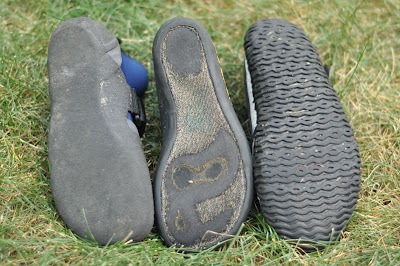 The Sasquatch (left) has a thicker sole than the Neobootie (center), but thinner than the Desperado Shoe (right). We've only worn them for one weekend, so we'll see how well they hold up and whether the soles offer enough protection on rough and jagged surfaces. But they're comfortable, and we're both optimistic. 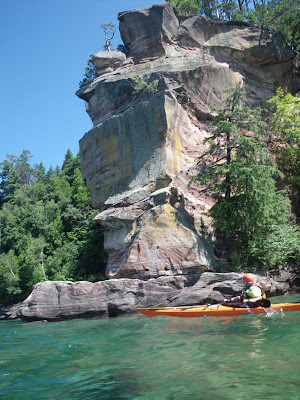 We just returned from the 26th annual Great Lakes Sea Kayak Symposium (GLSKS) in Grand Marais, Michigan--a tiny town on the southern shore of Lake Superior. 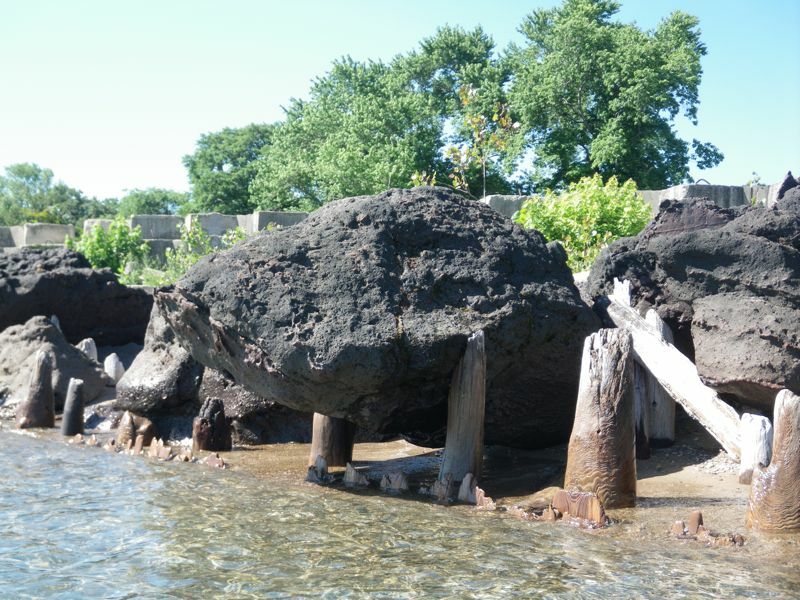 This is the oldest of the Great Lakes symposia, and it has a storied past. 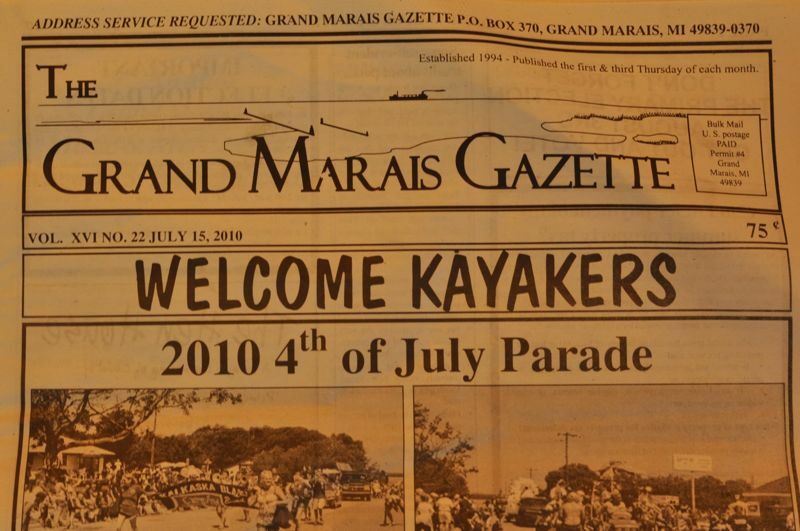 It was begun by Stan Chladek, founder of Great River Outfitters (GRO), who ran it for many years before handing it off to Riverside Kayak Connection. This year, Downwind Sports (which began and still runs the annual Ladies of the Lake symposium) picked it up. 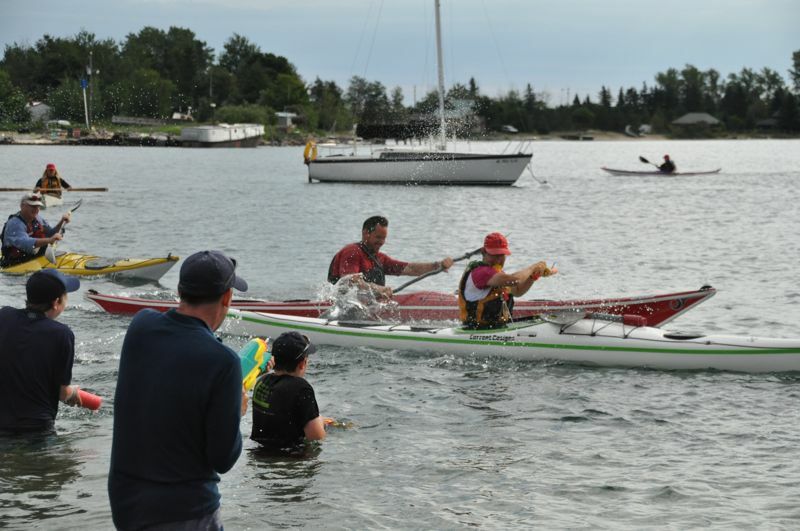 Bill Thompson, co-owner of Downwind Sports, organized the event, recruited the sponsors and vendors, and kept the coaches fed and watered. 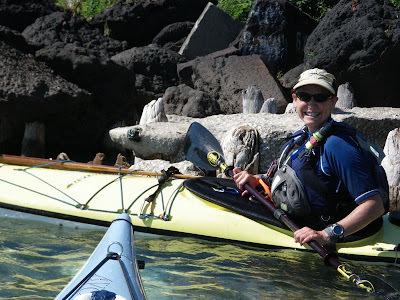 Kelly Blades, force of nature, recruited the coaches, restructured the courses and ensured the proper balance of safety and mayhem as well as plenty of laughs. Bill Thompson and Kelly Blades model good communication skills. This year, the symposium offered three days of guided tours along the scenic coastline and islands of the area. Participants could choose to paddle anywhere from 8 to 18 miles, past the colorful limestone bluffs and dramatic sand dunes of Pictured Rocks National Lakeshore. 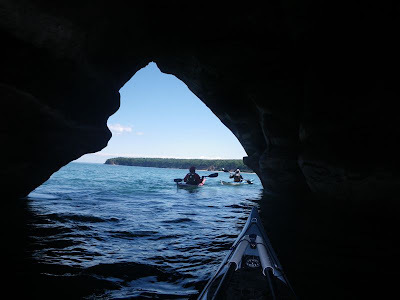 They got to try some rock hopping, poke into sea caves, and paddle under waterfalls and through arches. The cliffs on the west side of Grand Island. An arch on the north side of Grand Island, below the light house. 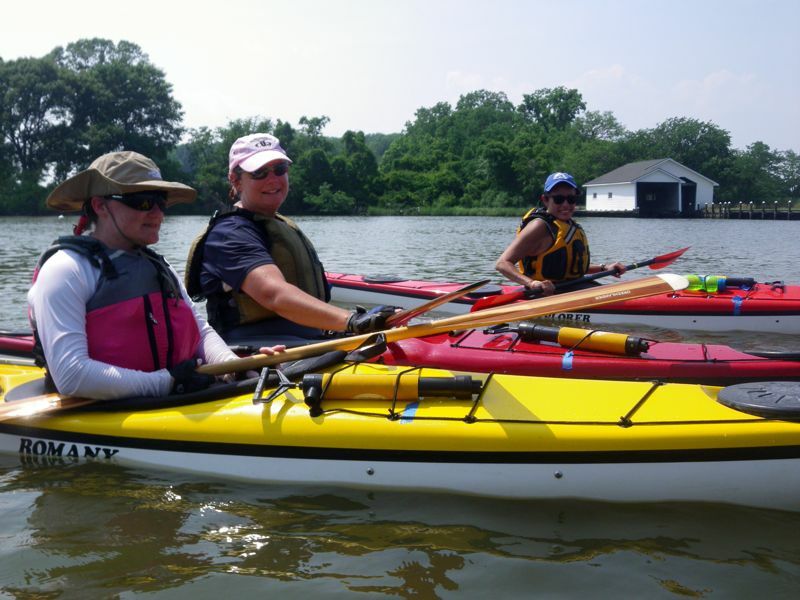 On Friday, when the symposium officially began, students chose classes with unconventional names but very practical purposes: Going Forward (forward stroke), Not Going Forward (turning and draw strokes), Staying Dry (bracing), Getting Wet (rescues), and so on. On day two, the wind kicked up in time for Bumpy Water Boat Control, Rough Water Play and Surfing. The onshore waves built to about three feet, creating surf on the beach and clapotis near the break wall. 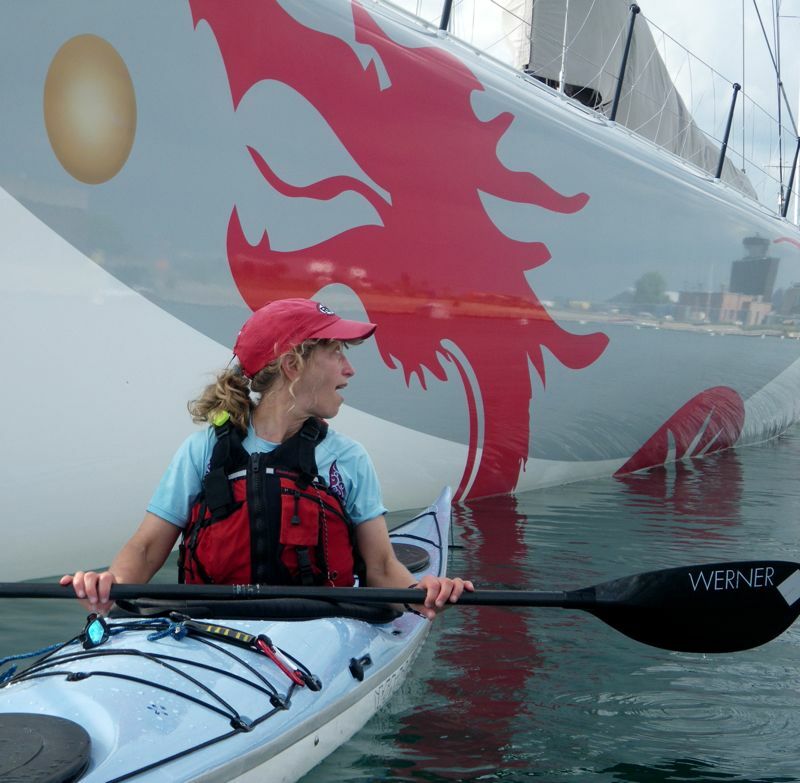 That day ended with the traditional Pasty Dinner (an Upper Peninsula delicacy) and Freya Hoffmeister's "Race Around Australia" presentation. The final day featured a Blessing of the Boats by the paddling pastor, Doug Van Doren, and a wacky race past squirt-gun toting kids and insult-hurling spectators. 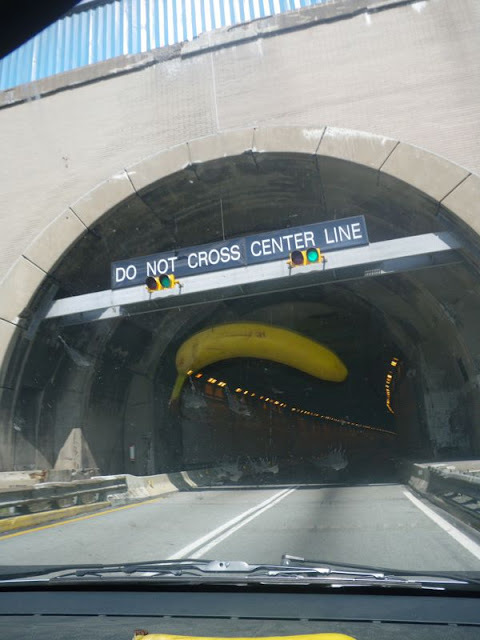 Racers survive the Tunnel of Doom en route to the Valley of Insults. 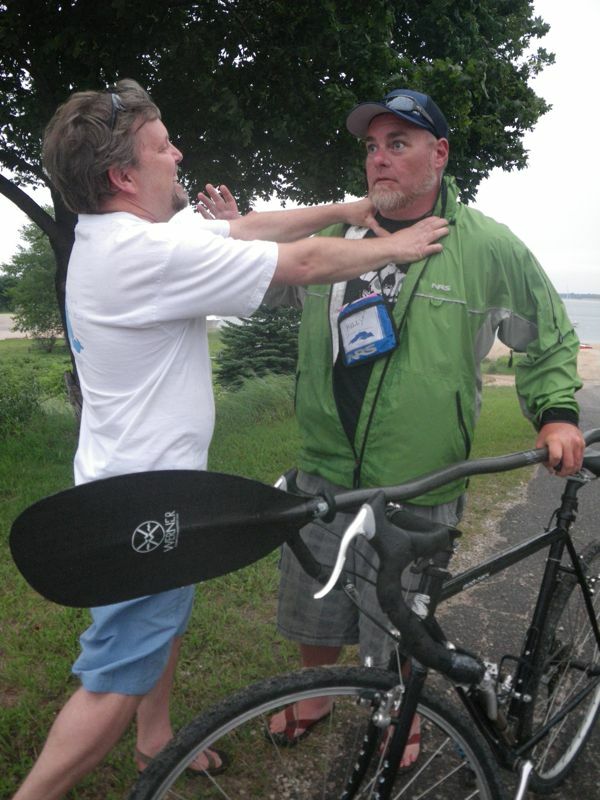 Midwestern paddlers and coaches have many symposia to choose from every year. This continues to be one not to miss. it sits nicely in the water. We think of that time as preLV. Since then, several boat manufacturers have come out with true low-volume kayaks--boats specifically designed for smaller paddlers. They are narrower (typically less than 21 inches), have lower decks (typically less than 13 inches), are lower volume overall (so they have an appropriate amount of freeboard for a low-weight paddler), have more aggressive thigh hooks (better for shorter legs), and forgo some of the cockpit volume by placing the front bulkhead further back. 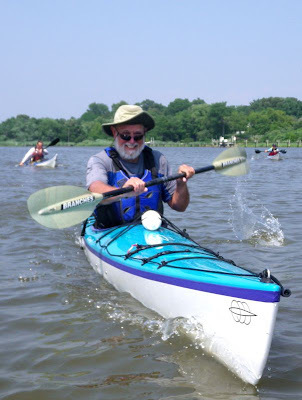 Because they are truly designed for smaller paddlers, many of these boats make up for their shorter length by having comparatively longer water lines, so they aren't slower than their regular-volume siblings. 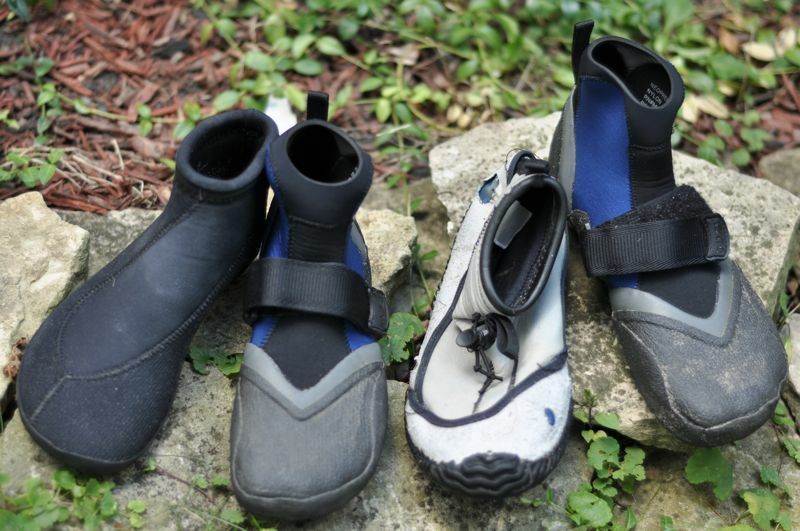 And because they're shorter and lighter, they are easier to move around on land as well as on the water. 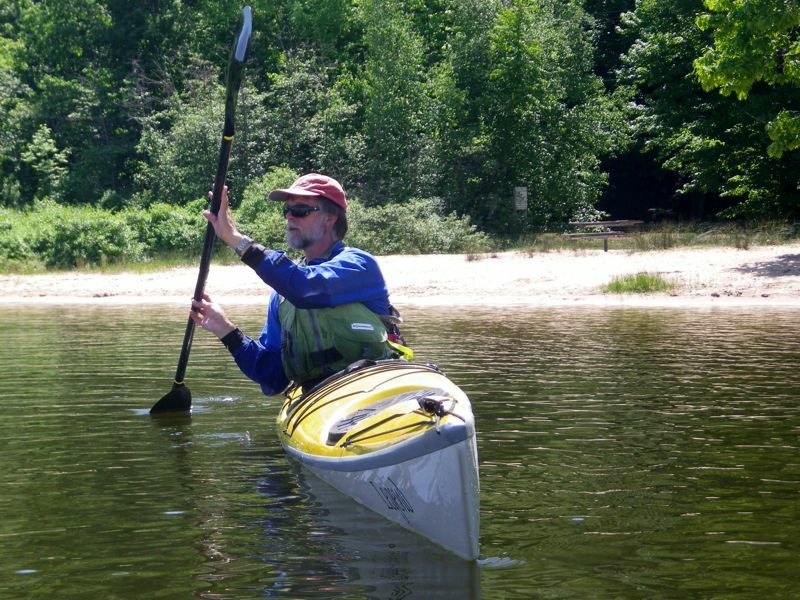 Many low-volume kayaks perform better for smaller paddlers with some weight in the front and/or back hatches. And, of course, personal fit and paddling skills and preferences have a large effect on boat choice. There's no substitute for test-paddling, preferably in the conditions you prefer. We're currently paddling the Pilgrim (Alec) and the Avocet LV (Sharon). At our weights, these boats allow us to do the full range of things we want to do in our kayaks: teach, surf, play, paddle long distances, and keep up with the pack. 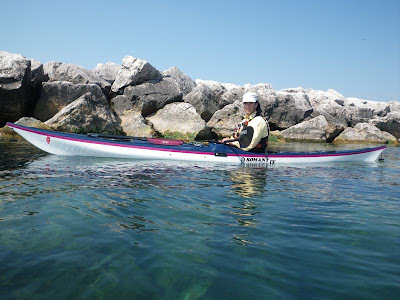 But we're also spending as much time as possible in other people's low-volume boats to become more familiar with the range of options for smaller paddlers. 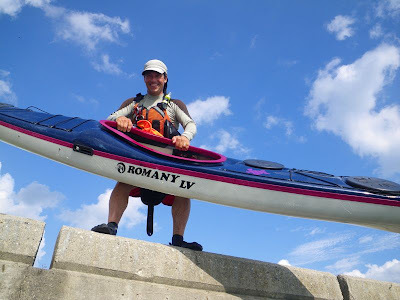 Have a low-volume sea kayak you love? Let us know! Post a comment or email us at bpfamily (at) gmail.com. Alec in his Pilgrim. (Yes, it says Romany LV. The label was attached before Nigel Dennis named the new boat.) After seeing this photo, Alec decided to move his seat forward and carry a bit of weight in his front hatch. A couple of days ago, while paddling the heavy industrial area in northwest Indiana, we came across a piece of driftwood that turned out to be a fairly large snapping turtle. No joke! A snapping turtle near the BP plant in Indiana. 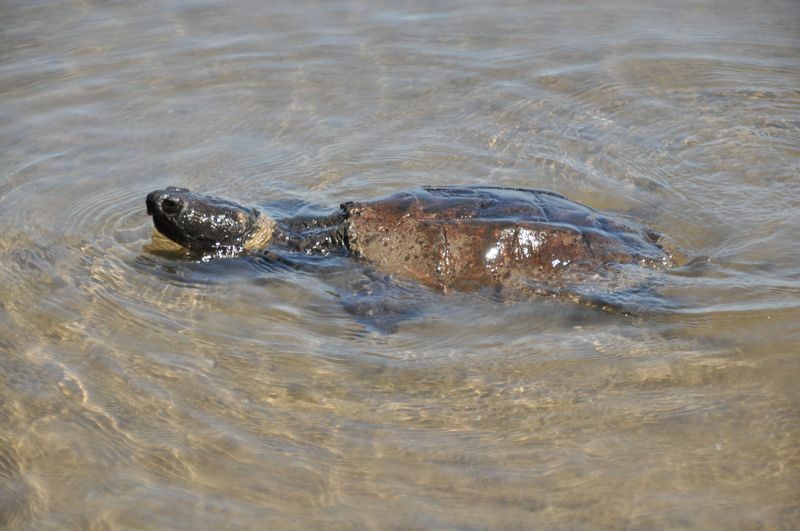 Today we encountered a few more marine animals, but they turned out to be inanimate. 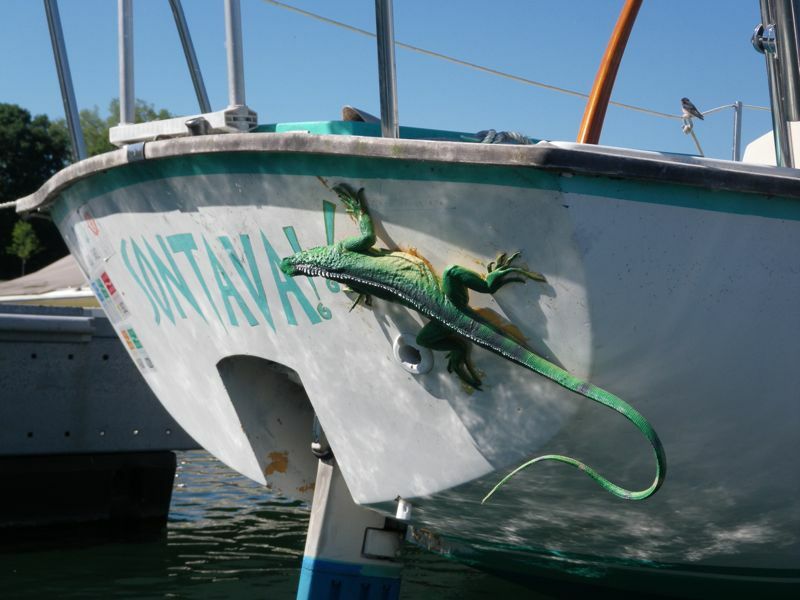 This poor iguana isn't going anywhere under its own power. This alligator doesn't pose much of a threat to our friend Bonnie. 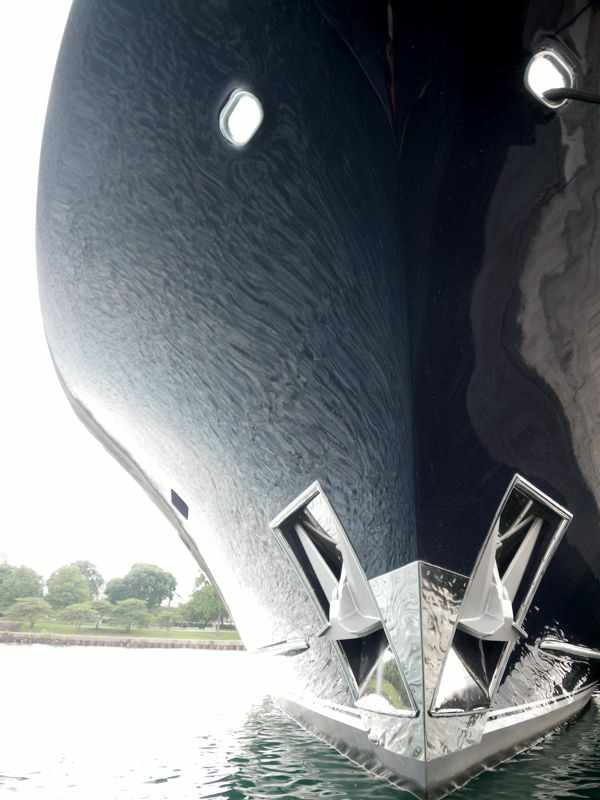 This whale seems to be in dry dock. We encountered this frightening apparition as we entered the Allegheny Tunnel on our way home from Adventure Crafters. 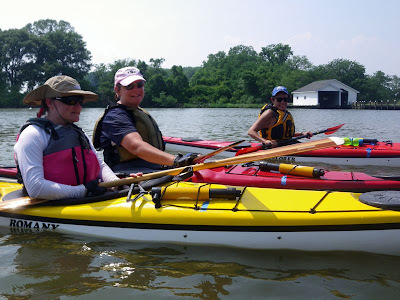 With all due respect to Socrates, who declared that "the unexamined life is not worth living," we didn't find our two-month hiatus from blogging about paddling too detrimental to our enjoyment of the sport. On the other hand, we're darn glad to be back online. 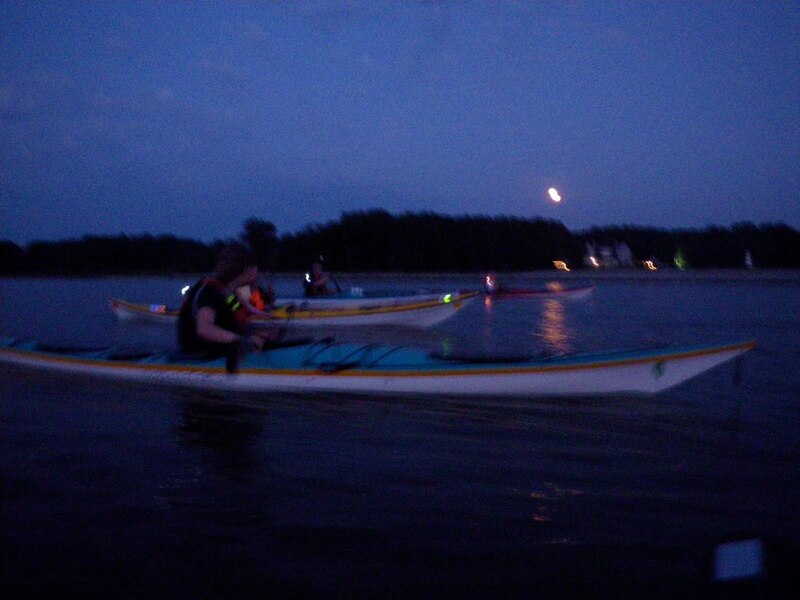 Our unexamined paddling was definitely worthwhile, but we missed the discipline of reflecting on what we've discovered in the process. 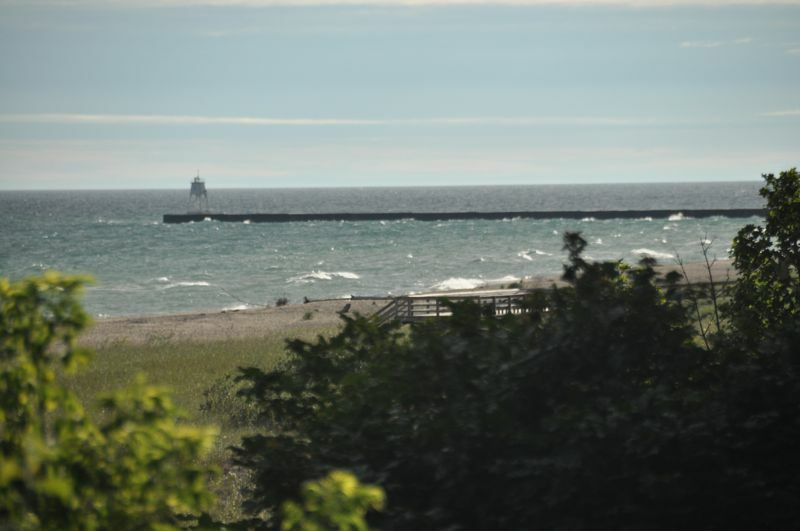 Warm water came early to Lake Michigan this year. 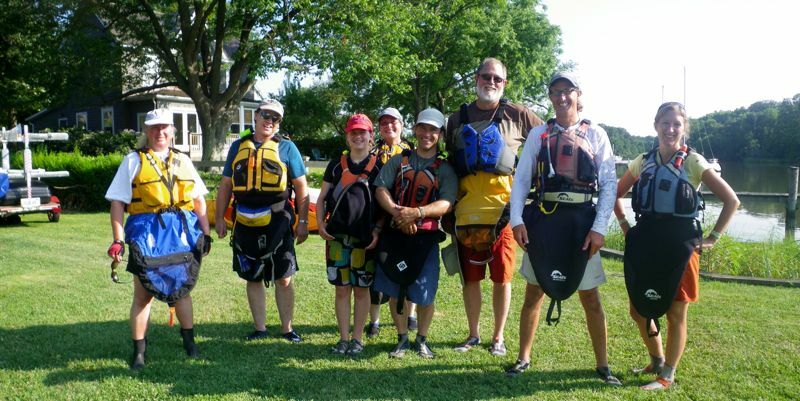 In addition to spending a lot of time on the lake, we taught at the 21st annual West Michigan Sea Kayak Symposium, participated in an instructor update with Nigel Foster, and taught for Geneva Kayak Center in Illinois and Adventure Crafters in Maryland. 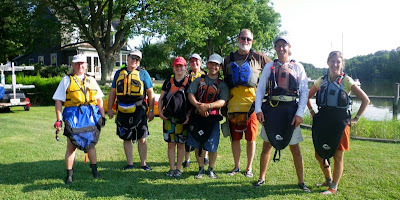 We also participated in the Chicago Whitewater Association beginner trips, took part in a couple of Chicago Area Sea Kayakers Association paddles, and finally visited the Wausau Whitewater Course in Wisconsin. 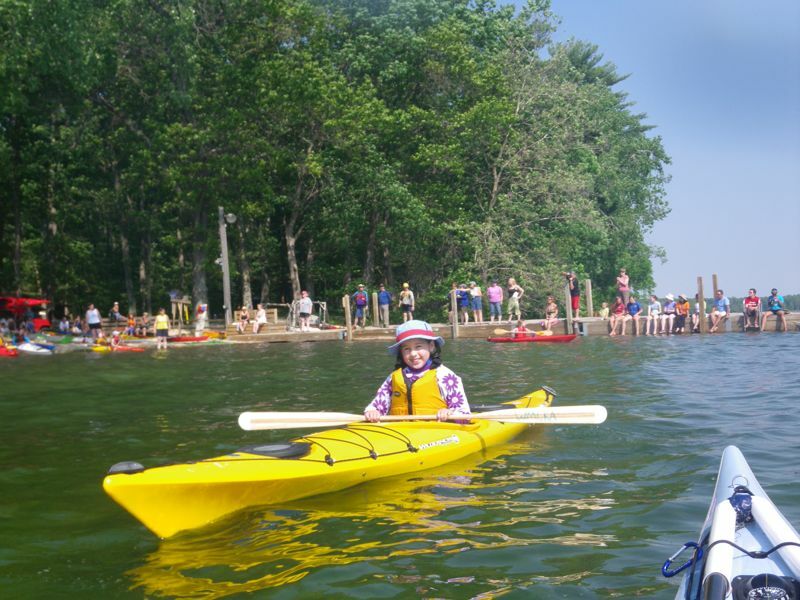 The children's graduation at the end of the West Michigan Coastal Kayakers Symposium. Nigel Foster's instructor update focused on discovery learning. included a visit to a bell buoy on Chicago's South Side. 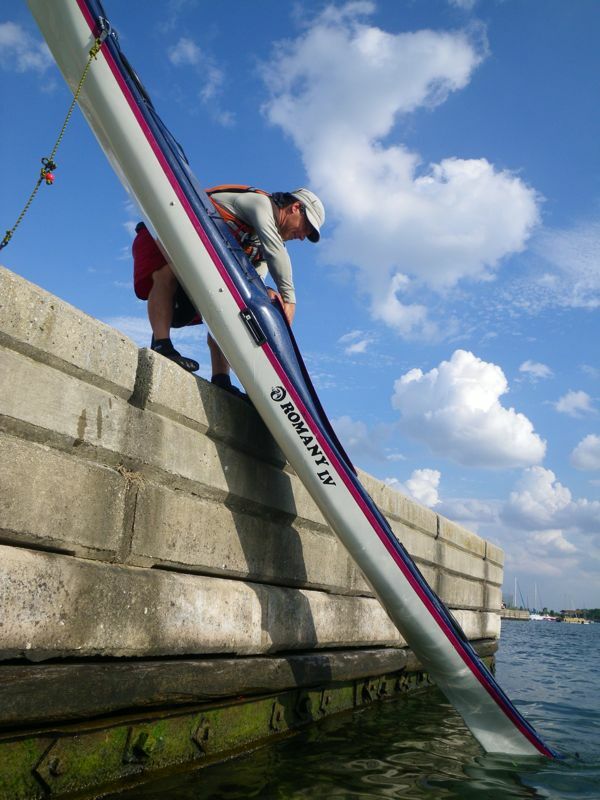 We got off the water another day before 80-knot winds blew through Chicago and flooded our basement. 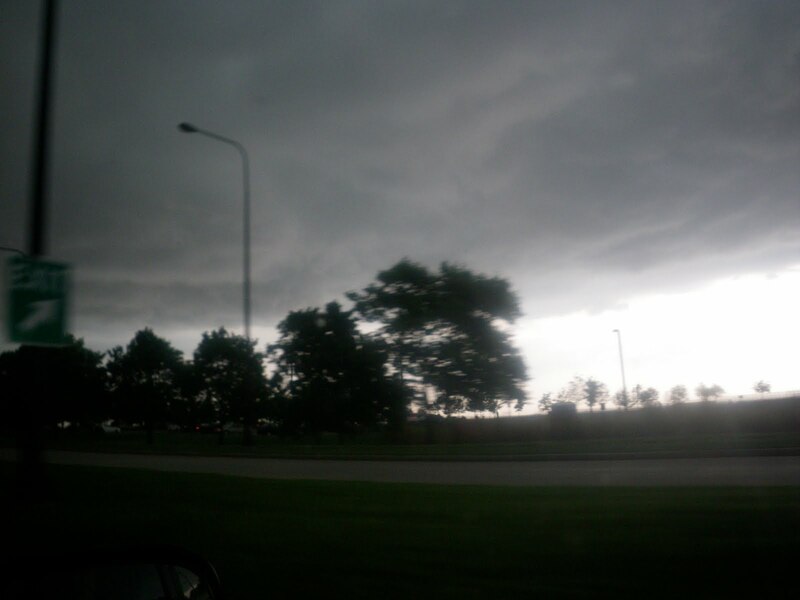 This was the first of several powerful and damaging storms in June. Our annual stint as guest instructors at Adventure Crafters in Maryland began with a full-moon paddle. Sharon and a Pyranha face off before heading to Wausau with Jeremy. Nope. The unexamined paddle is still worthwhile, but we certainly don't document it as well (in photos or prose) when we aren't blogging about it.